Sen. Enzi is asking some of the tougher questions, hitting Burwell on the glitchy, and expensive, HealthCare.gov website. As the director of the Office of Management and Budget, Burwell had a leading role in managing the site, Enzi said. Burwell's confirmation hearing has been overwhelmingly tame, with all of the senators thus far being quite complimentary of her work at OMB and previously. There have been some pointed questions and criticisms over the Affordable Care Act but even those, in comparison to past instances, have been rather genial. Sen. Scott says he wants to know if Burwell will be the "ambassador of Obamacare" or "the Secretary of HHS." 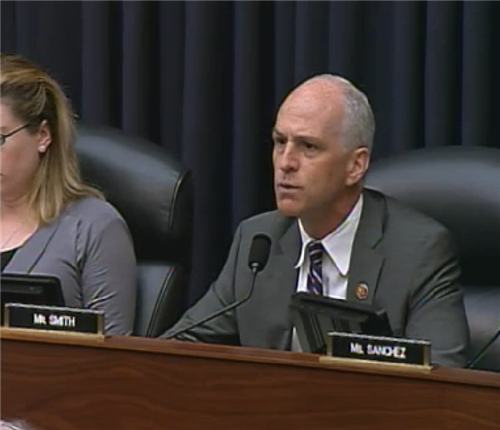 Scott says Sebelius was the "ambassador of Obamacare" and asks Burwell if she'll be that too. Burwell: Uh, I'm trying to be HHS Sec. Burwell's hearing is over. Two hours, hardly any GOP pushback. Burr and McCain actually raved about her. Secretary of Defense Chuck Hagel is testifying Wednesday morning before the House Armed Services Committee on the transfer of five Taliban detainees in exchange for the release of Sgt. Bowe Bergdahl. Bergdahl's release has caused a wave of controversy, with many asking if the sole U.S. soldier being held captive in Afghanistan should have been traded for a handful of potentially dangerous Taliban detainees at Guantanamo Bay. Some have also raised concerns over whether Bergdahl actually deserted his base in the first place, leading to his capture back in 2009. Rep. Buck McKeon started Wednesday's hearing by saying the proceeding was not meant to be used to debate the circumstances surrounding Sgt. Bowe Bergdahl's disappearance from base. Nor was the hearing meant to be used to debate the merits of making sure American soldiers were returned home, he said. Sgt. Bergdahl was captured on the battlefield, in a war zone, Rep. Smith said, adding that the Taliban was, until recently, the government of Afghanistan. While he acknowledged he doesn't know the full implications of the deal, he said the hardline thought that America will under no circumstances negotiate with the Taliban has been rejected. While Smith seemed more favorable to the deal in his opening statements than McKeon, he did say he is concerned with the lack of information shared with Congress. He also took issue with the seemingly rushed nature of the deal, citing the fact that the 30-day requirement was not followed. While Hagel said 'we could have done a better job' of keeping Congress informed, he urged committee members to keep in mind the deal was fluid until its final completion. Hagel is quite adamant the prisoner swap was done legally, stressing that 'no charges' were ever brought against Bergdahl. Questions about Bergdahl's capture are separate from his recovery, he stressed because we do whatever it takes to bring home Americans. 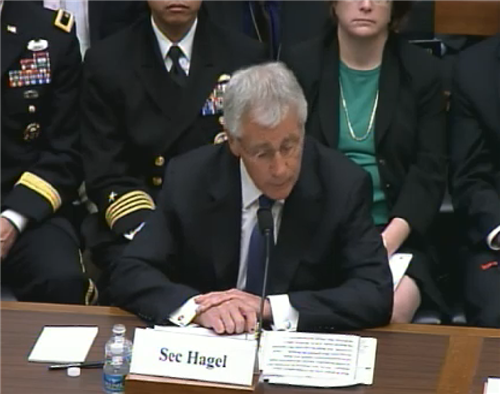 That is the beginning and that is the end of what we stand for, Hagel quite passionately said during his opening statement.